This property was zoned RU1 Rural Landscape under the current Camden Local Environment Plan, and was proposed to be rezoned to R5 – Large Lot Residential. 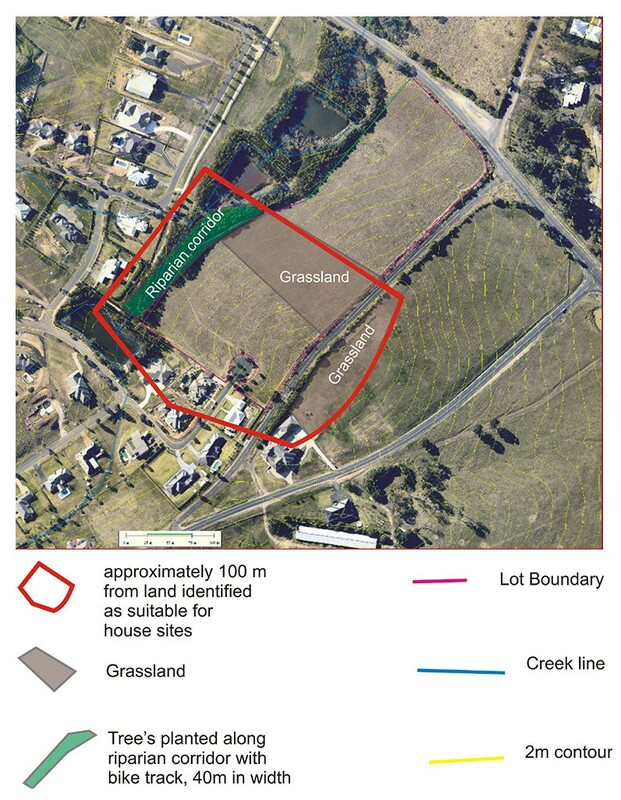 Indicative house lot layouts were identified in the assessment and it showed how the proposal can comply with bushfire protection requirements. Final details of landscaping and boundaries will be determined when a subdivision DA is lodged. APZ setbacks be required as a condition for consent. Camden Council, The consent authority, were required to ensure that a mechanism was established to ensure the setback was enforced. Water, electricity and gas were to comply with Section 4.1.3 of PBP (2006). Landscaping was to be undertaken in accordance with Appendix 5 of PBP (2006) and managed and maintained in perpetuity. Standard of access was to comply with standards for PBP (2006) 4.1.3.